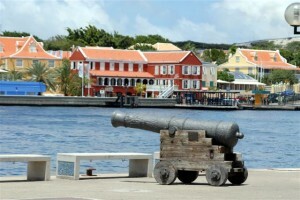 WILLEMSTAD - As has been the case for years, Curaçao Hospitality and Tourism Association (CHATA) organizes quarterly Meetings for its Members. These Member Meetings are meant to inform the members about what CHATA is doing in terms of projects and tourism development. -Joanie van der Sande (Auxilia): Personal Leadership, Personal Development. -Edward Suares (CTB): 'Right Now in Curacao'' marketing campaign update. -Molly Steward & Kimberley De L'isle (VanEps Kunneman vanDoorne): Explaining the ''No Work, No Pay'' principle. -Annaleen Bobb (IATA): Caribbean Report Card presentation and an update on the airline industry. -Miles Mercera (CHATA): CHATA update on Hotel Performance, Projects, and upcoming activities. -Christine Birkner (Adweek): Get the insight on Millennial travelers & the advantages of AirBnb. Christine will be addressing the attendees during lunch.